Pioneer Square – Victoria, B.C. – Temple Lodge, No.33, Duncan, B.C. Pioneer Square – Victoria, B.C. 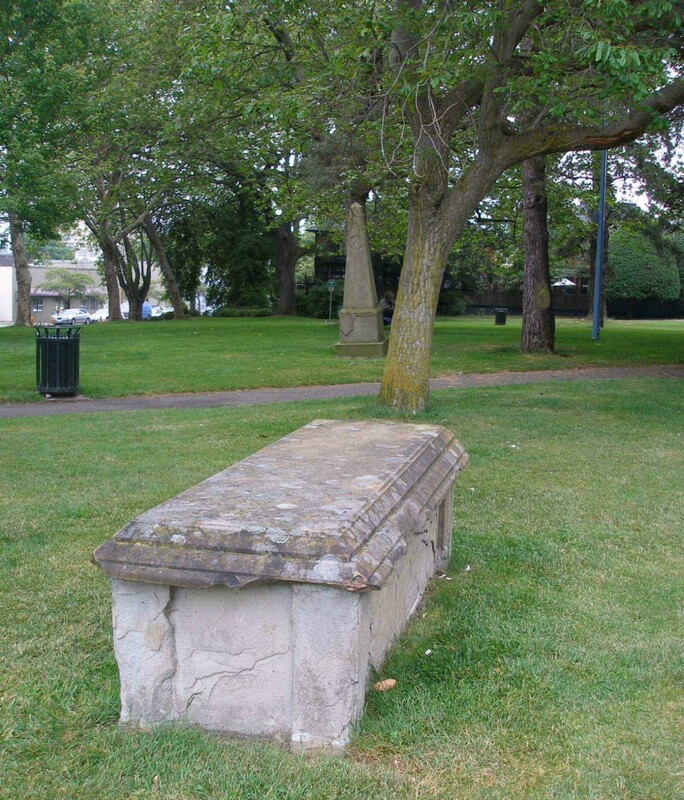 Pioneer Square (known originally as the Old Burying Ground or the Quadra Street Burial Ground) is located on Quadra Street between Meares St. and Rockland Ave. in downtown Victoria. It is Victoria’s second oldest cemetery – the oldest was originally at what is now the busy downtown intersection of Douglas Street and Johnson Street – and was used for burials between 1855 and 1873. The bodies from the original cemetery at Douglas and Johnson Streets were later disinterred and removed for reburial in other locations, possibly Pioneer Square or Ross Bay Cemetery. Burials in Pioneer Square were discontinued after Ross Bay Cemetery opened in 1873. Approximately 1300 bodies were interred in Pioneer Square during its 18 years of operation. These include many well known names among Victoria’s early pioneer families and residents. Here is a link to a Searchable Database. After its closure in 1873, Pioneer Square was neglected and allowed to deteriorate. In the early 20th century, the City of Victoria removed most of the tombstones from Pioneer Square and placed them in storage. Other tombstones were moved from their original locations to a small area on the eastern side of the cemetery. 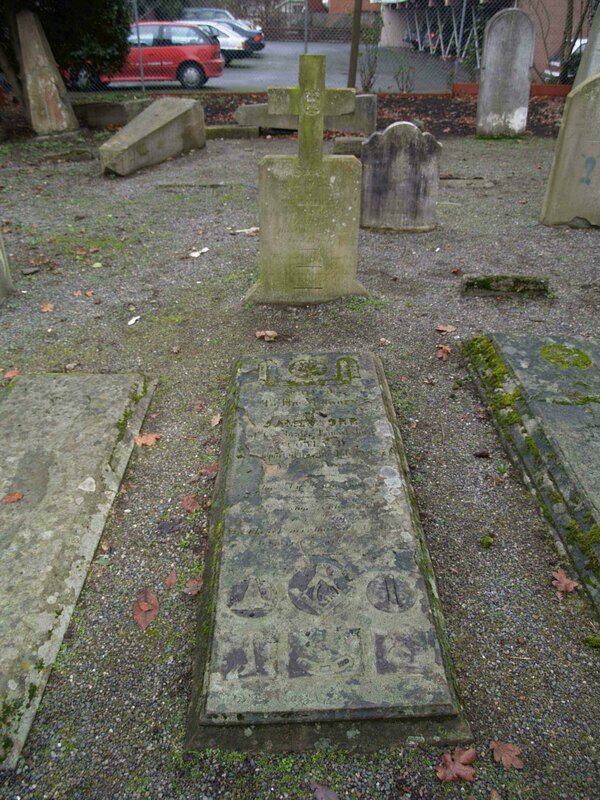 All the tombstones that were removed from Pioneer Square are now in the custody of the Old Cemeteries Society, a non profit organization devoted to preserving old cemeteries. Here is a link to an article on Pioneer Square by Cowichan Valley historian T.W. Paterson. The tombstone of Brother James Orr was moved to the eastern section of the cemetery, so although Brother James Orr‘s tombstone is still in Pioneer Square, his actual grave is now unmarked and its location unknown. James Orr tombstone, Pioneer Square, Victoria, B.C. Note: this list may not be complete. We will add additional names if or when we discover them. 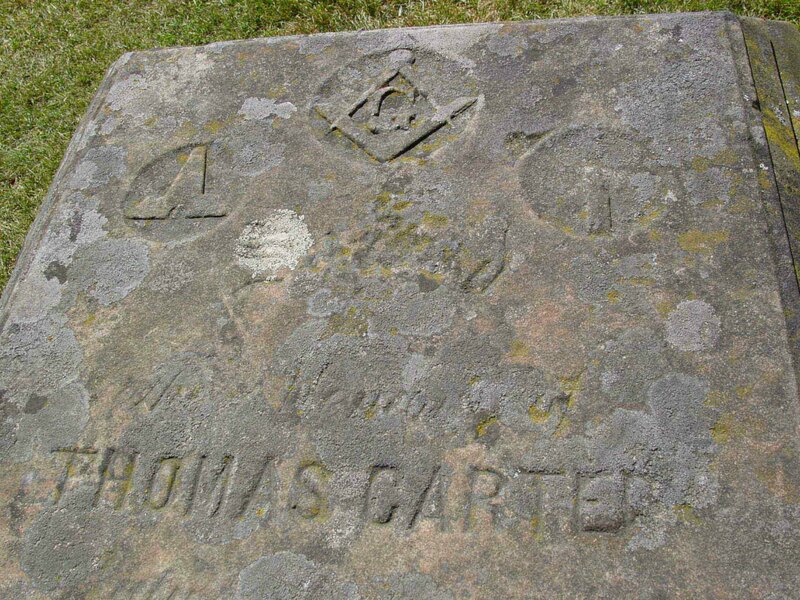 Masonic imagery, the Square & Compasses, the Level and the Plumb, on the Thomas Carter grave marker, Pioneer Square, Victoria, B.C. Thomas Carter grave marker, Pioneer Square, Victoria, B.C.